CUBA: Constitutional Reform To Include Marriage Push - Joe.My.God. 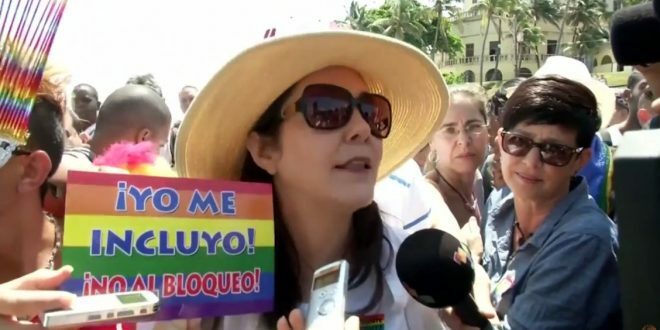 Mariela Castro [photo], a Cuban lawmaker and daughter of Communist Party chief Raul Castro, says she will push for gay marriage to be included in a constitutional reform process expected to begin in July. The reform is expected to encompass a wide range of modernizing changes to Cuba’s 1976 constitution, which was designed for a Soviet-style command economy. The communist government has been slowly introducing market reforms and trying to encourage more interaction with the global economy. Mariela is also Fidel Castro’s niece.